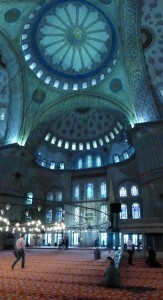 My trip to Turkey was a surprise. I had looked into going on a trip after my final year at A&M, but no matter which destination I researched, I always came up short financially. So, when I got an email about the Globetrotter Grant I applied for my dream destination, Turkey. 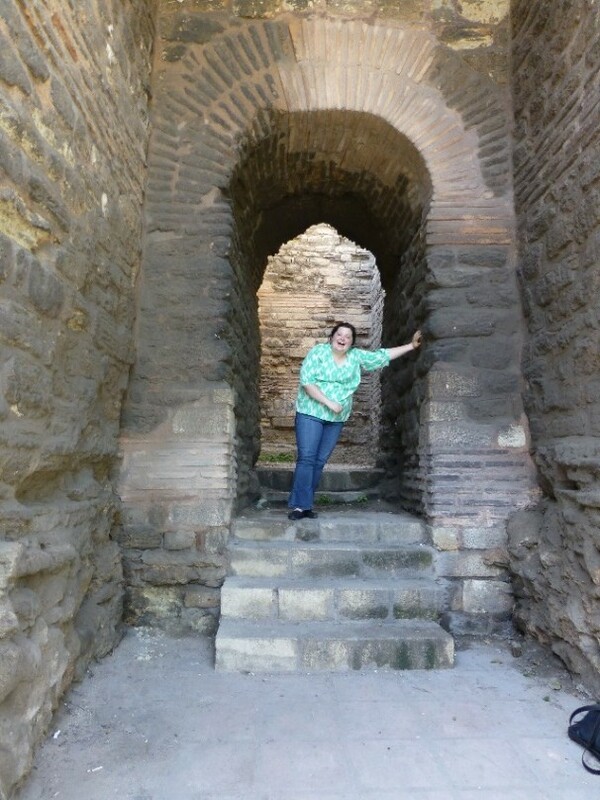 Turkey’s ruins, archaeological sites, beautiful country side, and hiking made it a natural fit due to my interest in history and anthropology. After I got the grant, my brother very unexpectedly decided to give me a very large combination birthday/graduation gift, so instead of the original two weeks that I had budgeted for, I was able to stay for three and a half weeks. The grant, my brother’s gift, and a few other gifts were all incredibly generous, and I can’t thank everyone enough for helping fund the trip. 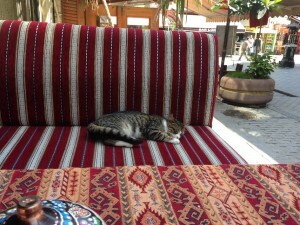 My companion for my first meal in Turkey. I ended up going alone, which was daunting for the first trip out of the country not on a tour, but luckily my first meal there I made a friend; it might have been of the four-legged feline persuasion, but the company was welcome none the less. In general Turkish people don’t keep pets, but they feed the strays, sometimes give them names, and even brush out matts from their fur. Both the dogs, which easily must have averaged seventy pounds, and cats are incredibly tame and having a cat rubbing my legs all through breakfast, lunch, and dinner, was the norm rather than the exception. The furry companions were an added bonus to the amazing people I met along the way. After that meal, I met up with my mom’s co-worker’s friend, Ayse. My mom’s co-worker insisted that we should get together, and after emailing her, she said she was more than happy to show me around. Quite the mouthful to explain, but really only goes to show how generous and welcoming the Turkish people as a whole were. Ayse and I met up twice and had Turkish coffee together; it was amazing to be able to ask questions about life in Turkey. She took me to her neighborhood, showed me her and her husband’s condo, and led me around some of her favorite shopping areas. The first full day I was in Turkey was also my 21rst birthday! Luckily, rather than spending it alone, I met a girl at the Dolmabahçe Palace and we ended up getting lost together trying to find a church, and in an attempt to find it ended up walking for a few hours along the old city walls. The wall had little doorways and nooks in it, some of which were being used as covered seating for restaurants. In Istanbul I also got to see the Hagia Sophia, Blue Mosque, Topkapi Palace, Underground Cistern, and as a pleasant surprise the Hagia Irene, which is the church used before the Hagia Sophia and is typically closed. 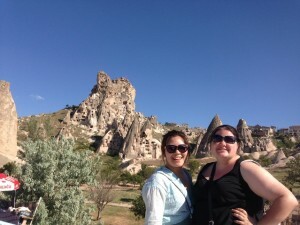 After seeing other attractions in Istanbul, I moved on to a region called Cappadocia. The region is filled with rooms, storage, houses, and entire underground cities carved into the mountains. 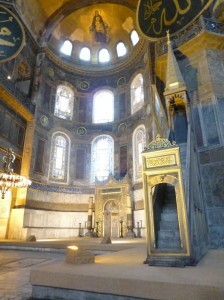 The region has several thousand churches and was were Christians practiced in secret due to its isolation. This region is still largely isolated, so I had to take group tours to see everything. This was great because I ended up meeting a lot of different people each day, but made me realize how much I enjoyed traveling alone. I was able to decide where I wanted to go, how long I wanted to be there, when I wanted to eat, and essentially do everything my way. Traveling alone meant that I could pass on things when I wasn’t interested or just sit in a park for hours if that was what I chose. I also felt extremely safe the entire time I was there, which was a slight concern about going. If anything going alone meant I felt more people were looking out for me. Most of the hostel owners made sure I got in each night and knew my plans for the day, and even waiters at the restaurants I frequented would comment about being worried if I didn’t stop by one day. Which brings me to a recommendation, find a restaurant that has a decent size menu and if the food is decent, go back! Several times waiters recommended going to certain places or would give me the wifi password, which made eating alone feel less alone. 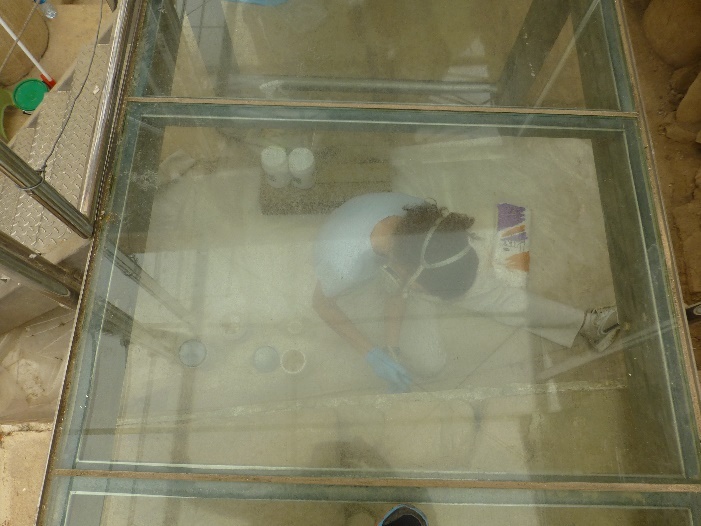 This was especially import later in Bodrum when a waiter told me that the museums would be closed the next day and told me about an amazing viewpoint. 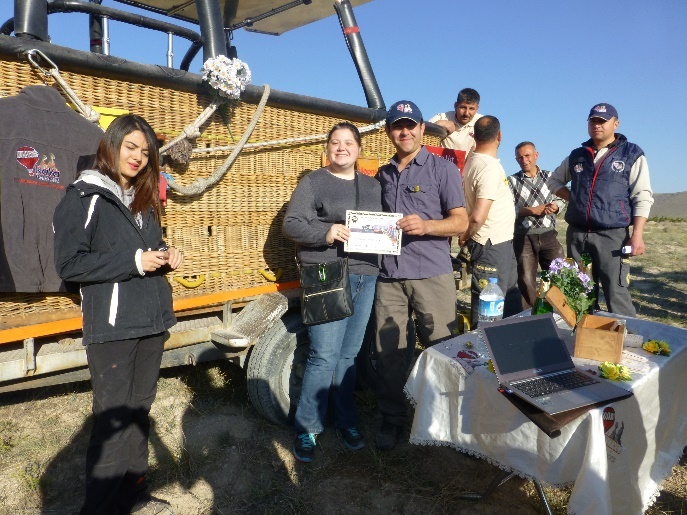 One of the ways to see this region is through hot air balloon. I grew up going to balloon festivals, but I had never been on one before, so the Globetrotter Grant made it possible to cross off my bucket list. 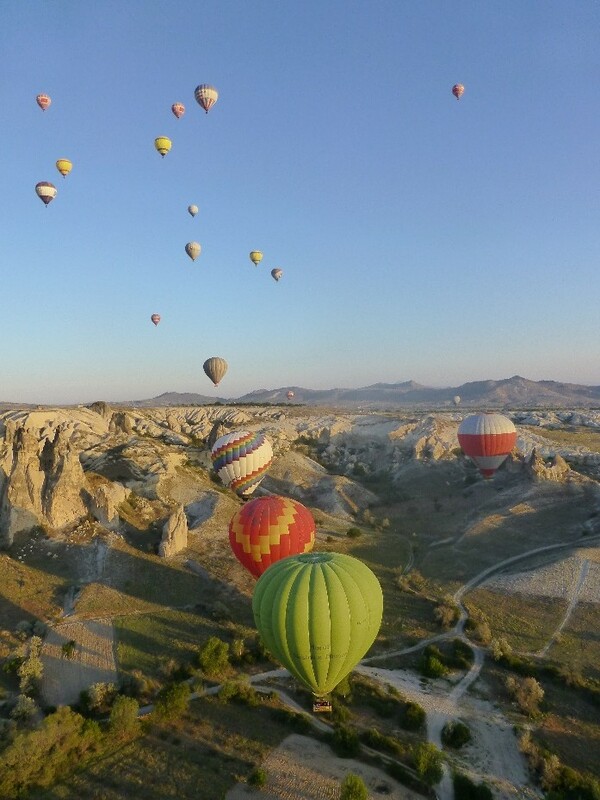 Every morning hundreds of balloons take flight; the sheer number of balloons added to the beauty of the region. After a very painful 4:30 am wakeup, I boarded a balloon full of terrified Brazilians. I know no Portuguese, but the old women crossing their chests and muttering “Aye mis Dios” needed no translation. The whole experience was very gentle, even when we ran into another balloon, the balloon just gently changed directions. The pilot was absolutely amazing. We landed on the trailer, and he kept us for the most part only a few feet above the highest brush. We did ascend to over 800 feet, but I would have to agree with my Portuguese co-ballooners, that lower was better. The underground cities in Cappadocia were some of the coolest things I saw the entire time I was away. 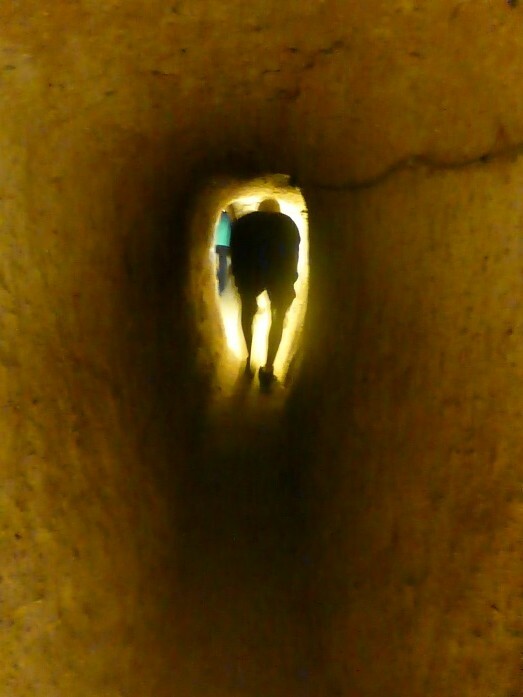 The tunnels are tiny, the tallest were about four feet high, but the rooms were surprisingly spacious. Despite this, I have discovered that despite having never felt claustrophobic, I do in fact have a fear of small spaces. 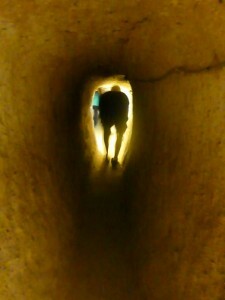 The tunnels were so tight that once you started into them, you couldn’t turn around. That meant that sometimes if someone was coming up, the whole line would have to back up backwards while bent over. I both envy the children that got to grow up playing in these cities and feel sorry for the adults who had to carry hundreds of pounds of food down into storage rooms. Another plus in Cappadocia was that my hostel was amazing. The people were great, it had one of the best views in town from the terrace, and the people were incredibly friendly. 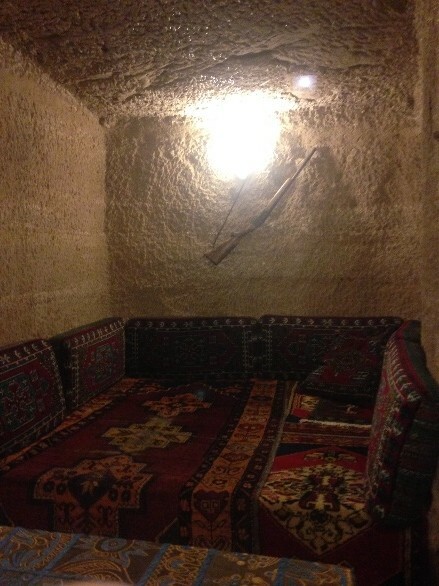 Also I ate breakfast in a cave, which made mornings significantly more enjoyable. I then moved on to Antalya and started the Greco/Roman portion of my trip. 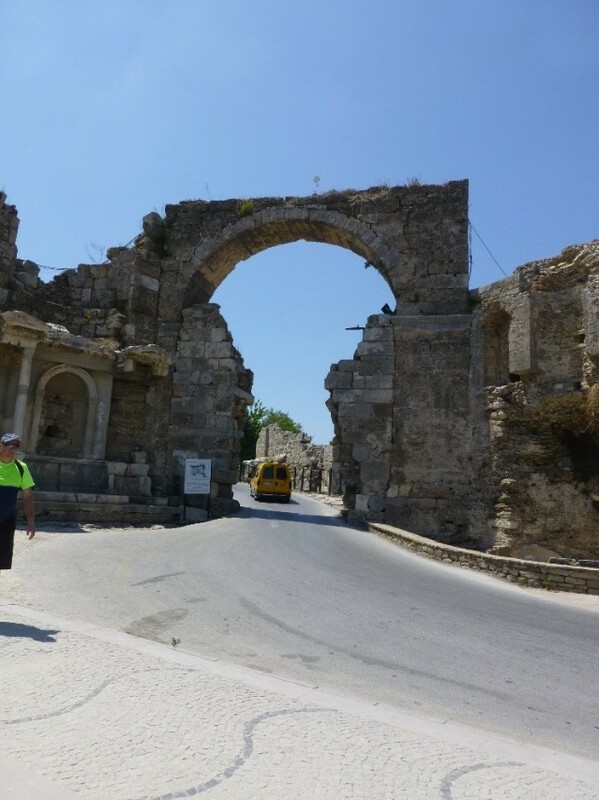 Over the five days I was in Antalya, I spent four of those visiting its neighboring cities and found that Antalya was an ideal launching pad for nearby attractions. Buses run literally everywhere in Turkey, cost very little (the most I paid for a bus ride was $30 for a 9 hour ride), and on top of providing wifi, snacks, water, tea and coffee, the stewards make sure you get off where you want to get off. Of course it’s the small routes that are the most interesting, with drivers decorating their vans with goat skin, huge evil eyes, flags, and Ataturk. Every hotel, restaurant, business, and bus had a portrait of Ataturk, the founding father of the Turkish Republic. Getting around was really easy, and usually a bus left for most destinations at the longest every hour. Usually the wait was fifteen minutes or less. 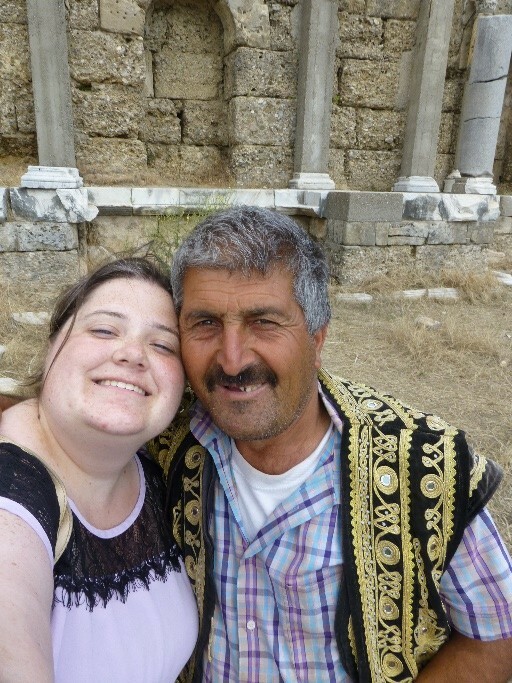 One of the places I went to from Antalya was Side, which turned out to be a huge Russian tourist trap, but remains memorable because a camel owner offered to take my picture for me and really wanted to take a selfie with me. Who would I be to turn down a selfie with a camel owner? Side was interesting in that the ruins and modern day architecture were all intermingled. The kilometer walk into the city from the bus station is lined by marble blocks that were moved to make the road. 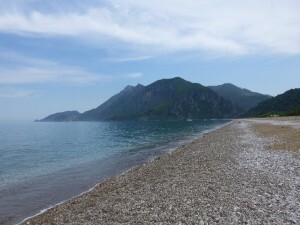 The prettiest place, and the place I most want to return to, was Cirali. The hike up to see the Chimeria, which are natural flames that come out of the earth, was not the easiest but completely worth it. 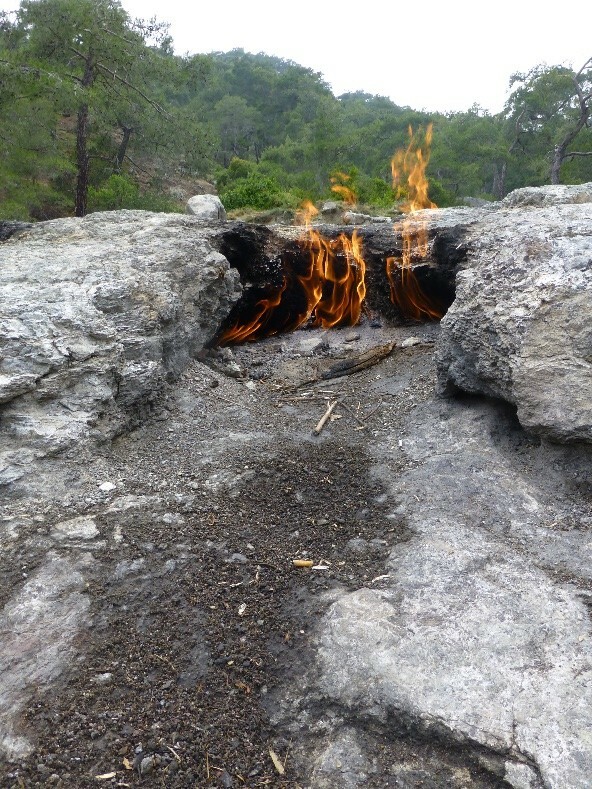 Seeing flames come out of the earth is mesmerizing. There were about seven different places where the flames licked up from the earth. 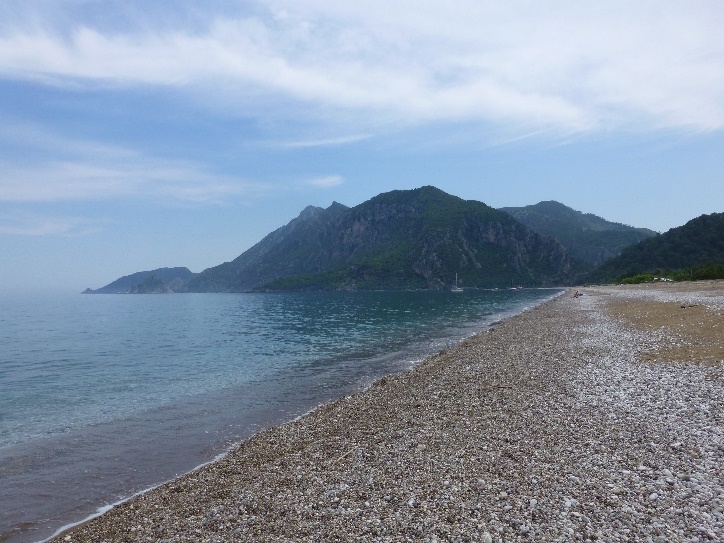 After hiking down, I went to the beach, which was almost completely deserted. Cirali was probably the prettiest place I have ever been. Words cannot do it justice, so I won’t even attempt to explain it. The most interesting part of my whole trip through was Termessos. Interesting in the best of ways because it is a gorgeous Pisidian city that has remained preserved, but also because I had it almost completely to myself. The entire time I was there, I saw less than ten people. Six of those were a group coincidentally from Houston. 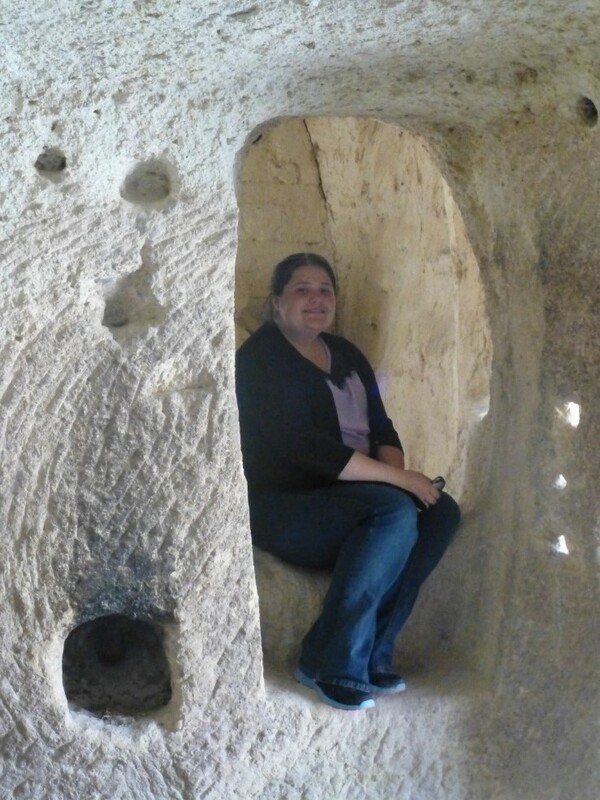 Consequently, I had lunch by myself in a Roman Theater perched on top of a mountain. The city is perched at almost 6000 feet, so high that Alexander the Great decided it was not worth it to capture it. The hike up is near vertical in several areas, but I would have done that hike five times over too see the city. After moving on from Antalya I went to Selcuk to go to Pamukkale, Ephesus, and several other Roman cities. Excavations are still going on at Ephesus, the best preserved Roman city in Turkey. In order to accommodate this, they have built clear platforms suspended over the excavators. My last day in Selcuk, I was awakened by the sound of construction. I tried to sleep through it, but eventually gave up and went downstairs to have breakfast, when I discovered the street had been turned into an outdoor market. Between all of the buildings tarps had been strung to provide shade over the vendors. Unfortunately, I forgot to take pictures, but several square blocks had been transformed so that locals could buy everything from eggplants and tomatoes to scarves and housewares. Seeing half the town transformed into an outdoor market within hours and seeing how the locals shop was definitely a highlight of my trip. I then moved on to Cannakale, where I saw the Gallipoli Battlegrounds and memorials. This is where the famed Ataturk gained his good reputation in WWI. 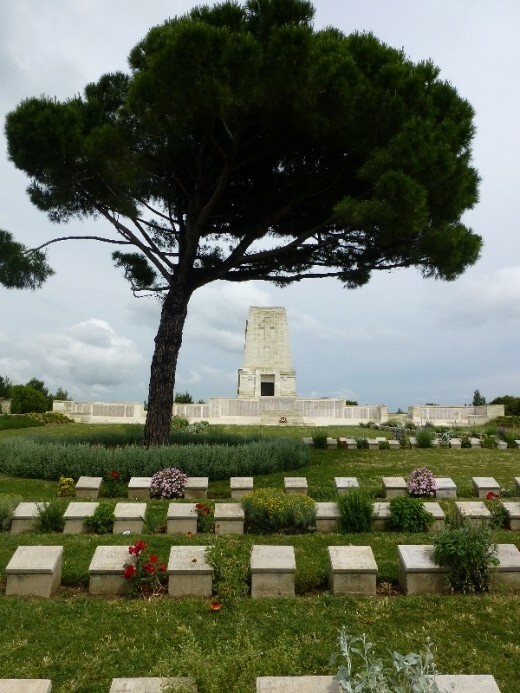 Over a half million people died in the battle, and it has become a pilgrimage site for ANZAC nations. 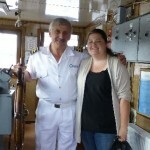 On the way back on the ferry, the captain was out on deck and invited me up into the wheel house. The controls the Captain is standing next to are the real wheel, but they have a fake wooden wheel specifically for the children to play with. 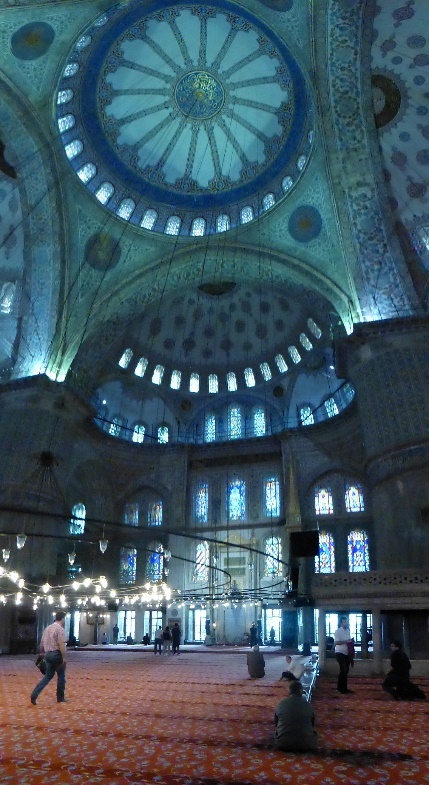 I finished my trip back in Istanbul where I met a Canadian nurse who ended up being on the same flight home as I was, so we spent our last night together. 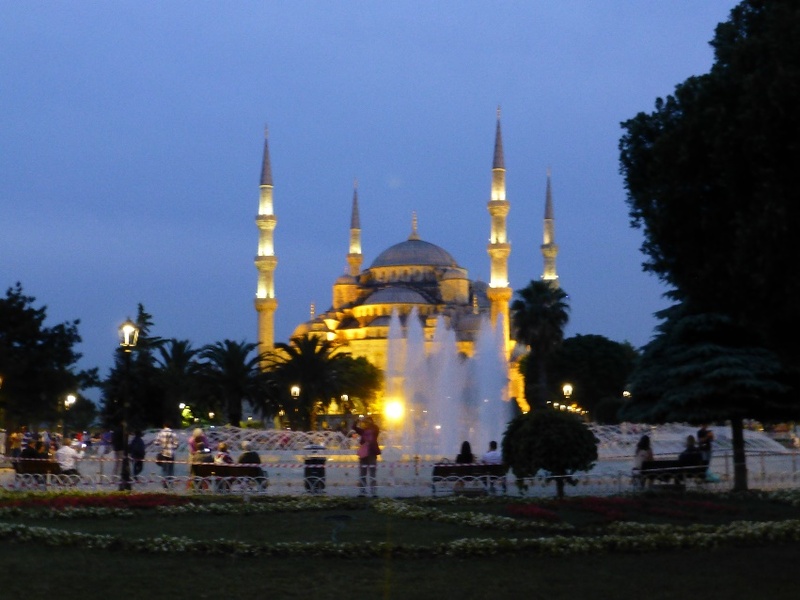 We decided to walk down to the square between the Blue Mosque and the Hagia Sophia, which was the perfect ending for my time in Turkey.